Our goal is to get you where you want to go in a quick and convenient manner, but we also want to make sure you get there safely. 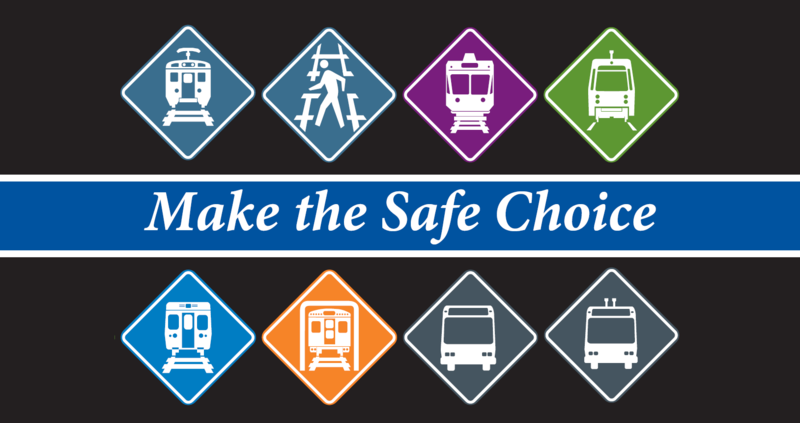 Whether you’re traveling on the Market-Frankford Line, or waiting on the platform at Lansdale Station, we want you to MAKE THE SAFE CHOICE and to always BE AWARE OF YOUR SURROUNDINGS. This includes looking out for people standing dangerously close to the platform's edge. 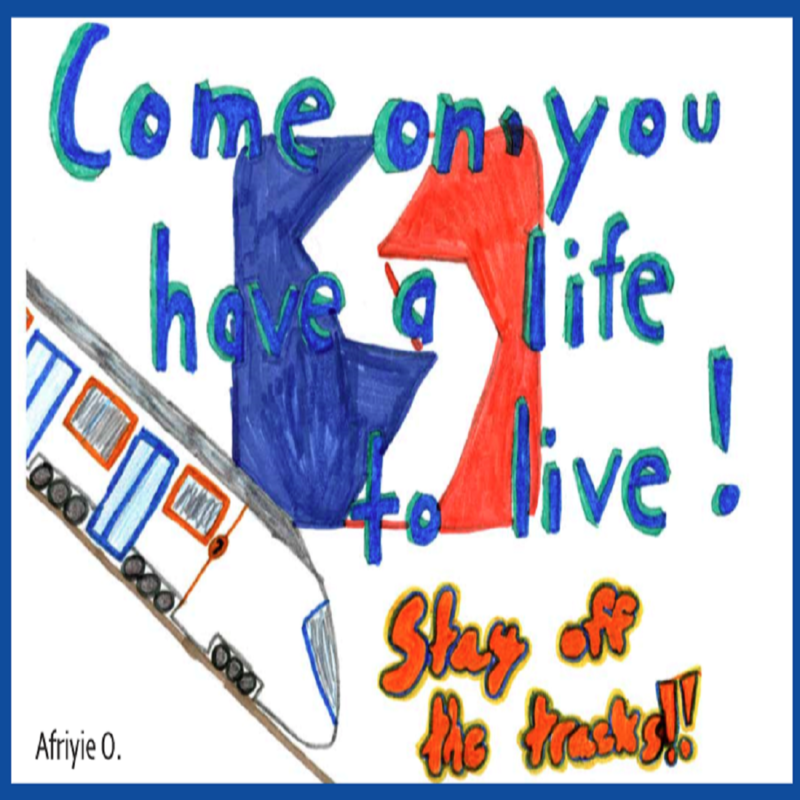 You can prevent a track fall and possibly save a person's life by alerting SEPTA personnel or by using the emergency call box. This year, we teamed up with with Edgewood Elementary School in Folsom, PA to help spread the safety message. Students created safety car cards that we will use as part of our overall safety campaign. Follow us on Twitter to see more of the amazing artwork. 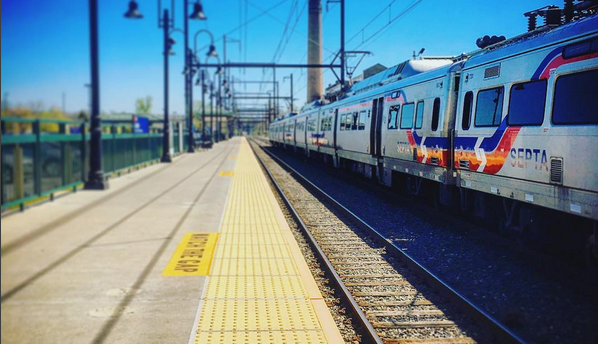 SEPTA works 24 hours a day, 7 days a week to keep a watchful eye over the entire system. We want to ensure that your ride and your travel experience is a safe one. You can help by downloading our Transit Watch app which allows you to discreetly report suspicious activity while riding. Having a safety plan and program is only part of what we do. We work very hard to communicate with riders, neighbors, and anyone who walks or drives a vehicle in and around the SEPTA service region. Listening to music through headphones or being otherwise distracted when you're approaching a station increases the likelihood that you will not hear an approaching train. When the train sees you it will sound its horn as a warning but will not be able to stop in time because it can take one mile or more to stop. RESPECT THE TRAIN - stay off the tracks. Please. Keep in mind a vehicle is no match against a train – it’s not worth the risk. A train moving at a steady speed will not be able to stop in time - being 5 minutes late for an appointment while you wait for it to safely pass is better than being late forever. RESPECT THE TRAIN - wait. We want you to make safe decisions around transit services so we offer these handy safety tips to follow. We encourage you to read and share this information with family and friends - you might just save someone's life. Read posted emergency evacuation instructions so you'll know what to do in the event of an emergency. For more information, make sure to check out our Safety Brochure or visit Operation Lifesaver. Make sure to watch our RESPECT THE TRAIN video, and then test your knowledge here.